Belize City, March 20th, 2019: In its continuous efforts to enhance the tourism attractions, the BTB has invested in the development of the nature based tourism product development, a component of Belize’s National Sustainable Tourism Master Plan 2030. The objective of the project aims to improve birding guests’ experience and satisfaction as this market segment has bloomed over the years. 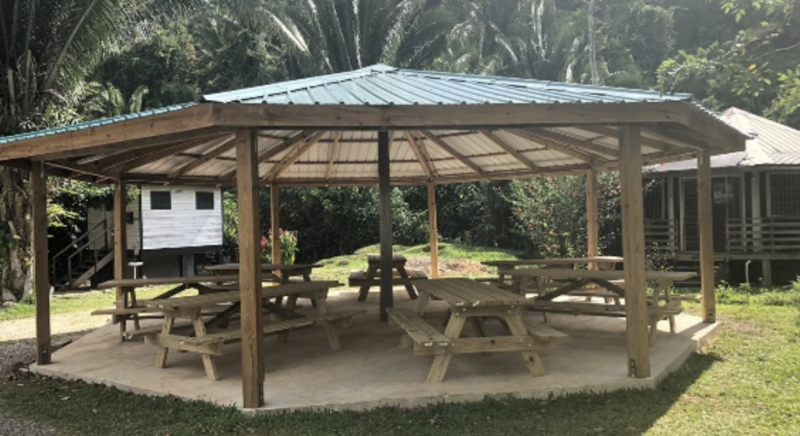 The Belize Tourism Board (BTB) recently embarked on a joint project with the Belize Audubon Society (BAS) to construct an octagonal shaped picnic shed to host a capacity of 50 persons and seven picnic benches at the St. Herman’s Blue Hole National Park, which will make the environment more pleasant for visitors to that historic site. The St. Herman’s Blue Hole National Park hosts several activities such as caving, lookout tower, swimming and bird watching, which is a blooming niche market in Belize. According to the BAS’s 2018 annual report, the park registered approximately 28,305 visitors.